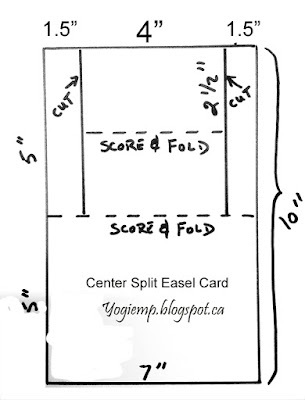 Yogi here today and I'm using another of the newest dies from Suzanne. 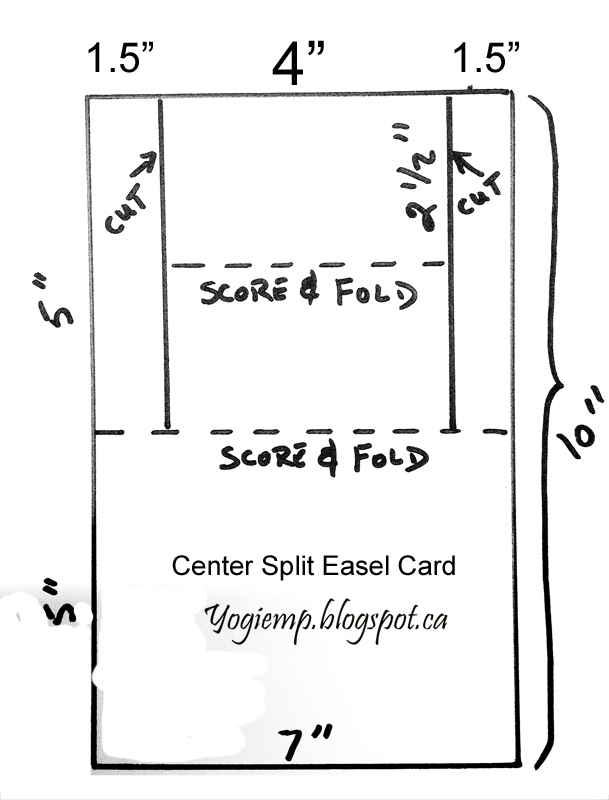 Cut, scored and folded my white cardstock (see diagram at left). Adhere the 2 side panels to floor. 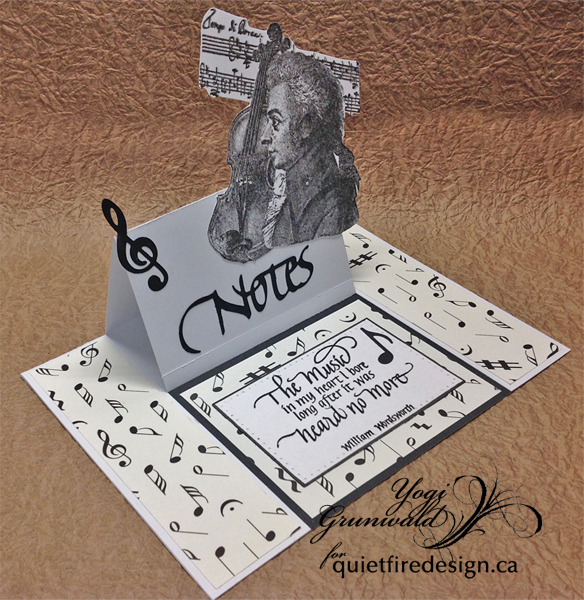 Adhered music scrapbook paper (Design Originals "Musical Notes") leaving a small border around each.. 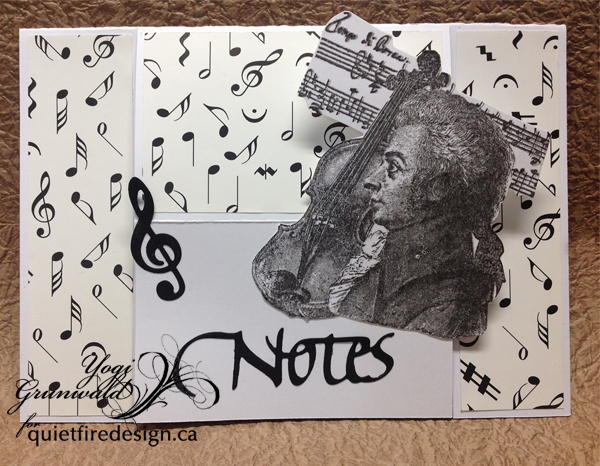 Stamped the violin player (LaBlanche "Composer w/Violin") using Versafine Black Onyx on white cardstock. Fussy cut and adhered to front. 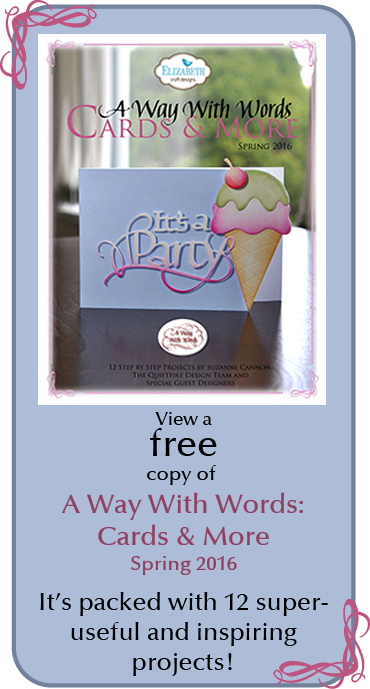 Die cut the word and notes from black cardstock and adhered to front. Cut a layer of black cardstock and then some of the note paper and adhered both to floor. 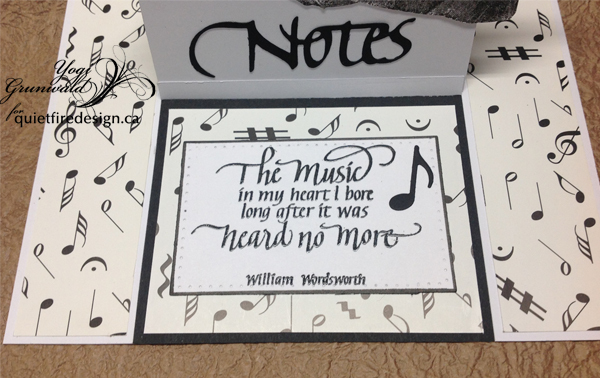 Stamped the quote onto white cardstock using the black and clear embossing. 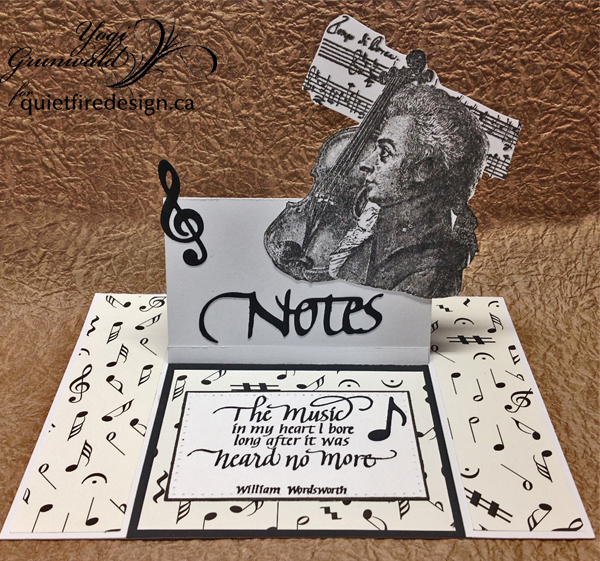 Die cut with Elizabeth Craft Designs "Stitched Rectangles" die set. Used a black bullet tipped marker for the edge. Adhered to floor. Adhered a musical note.